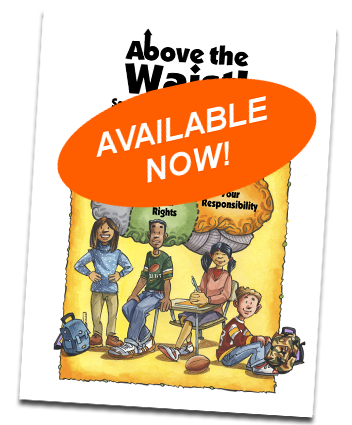 Created specifically for 6th, 7th and 8th grade, Above the Waist: Sexuality Education Beginning with the Brain reflects cutting edge research in the field of adolescent brain development and engages learners through innovate, hands-on, and adaptable activities. Above the Waist is age-appropriate, scientifically accurate, and instructor-friendly. Use Above the Waist in your school, after-school program, health center, or other youth development setting to help young people to learn about their developing sexuality in a way that will make them feel powerful, extraordinary and worth protecting! Take a look at the sample lessons below and scroll down to learn more about instructor training packages. Please click on Contact Us below to inquire about the curriculum and/or training. Or you can call us at 212-876-5638 for more information.